Despite the threat of terrorism and political instability, the travel and tourism sector has become a leading source of jobs and revenue in recent years. In 2015 alone, the travel, tourism and hospitality industry grew by 3.1% and accounted for 9.8% of the global economy's GDP. And as of last year, the industry created 7.2 million new jobs worldwide. And as more and more regions build or grow their tourism and hospitality sectors, this exponential growth will only continue. While this explosive growth in demand for tourism and hospitality services has been beneficial for many regions, including South Asia, India, Indonesia, and Latin America, it has also brought several common problems with the industry into focus. 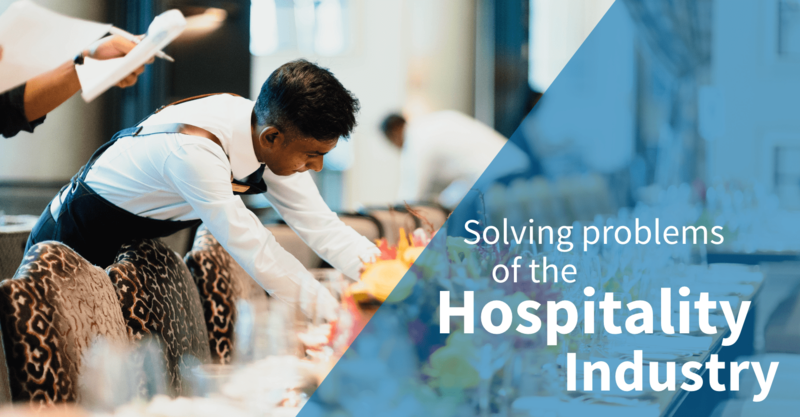 The rapid rise of the hospitality industry's job market has led to the need for quick scalability and staffing; but, it hasn't allowed managers the time for comprehensive training. As a result of this lack of training, many hotels, resorts, and travel services experience high turnover. Aside from training and staffing issues, many hotels and resorts suffer from a lack of amenities; as a result, many hotels and travel services charge a premium for basic guest services, like phone or Internet access. In this article, we describe how cloud communications help solve some of these common problems for the hospitality industry. The explosive growth of the hospitality industry's job market has forced many hotels and resorts to add more staff than they have the time or resources to train. As a result, these resorts are not able to capitalize on the true value of every potential and existing guest. With cloud communications, hotels and resorts can do more with less. With an efficient cloud phone system or virtual call center software platform, these businesses gain access to essential features like advanced call routing, historical and live reports, and remote agent functionality. Advanced call routing provides hotel managers with the ability to route inbound calls to different locations or agents based on time of day, the caller's geography, and more. Historical and live call reporting provides insights on when a hotel or resort typically receives the most calls, allowing hotel reservation centers to allocate staff more efficiently. Remote agent functionality allows hotel reservation agents to work anywhere - which means that the hotel doesn't have to spend precious resources on physical space to house agents. Due to a combination of incomplete training, low salaries, and a growing job market, the hospitality industry faces a particularly high turnover rate. This means that it is essential for hotels and resorts to be able to quickly add or remove new employees to the hotel's phone system or network. Hotels that are unable to fill positions quickly also need a system that allows for fewer agents to do more. With cloud-based communications solutions, hotels and resorts don't have to purchase on-site equipment every time a new employee or agent is hired. Cloud phone systems and virtual hotel reservation center software is managed and maintained by the provider; any time a hotel manager needs to remove or add a seat or extension, they simply contact the cloud provider who manages their system. Using virtual attendant (IVR), call queues and hunt groups, hotel managers can also enable their employees to do more with less. For example: a virtual auto attendant system can be configured to perform the same function as a hotel receptionist might ordinarily handle. Many resorts and hotels struggle to provide basic communications amenities, such as long-distance phone service or Internet access, at an affordable rate for guests. Because these amenities are often hard to come by, or cost the hotel itself a fortune to maintain, they are charged at a premium rate that many guests cannot afford. With cloud communications solutions like SIP trunking and VoIP calling, hotels and resorts can provide their guests with affordable calling rates. For hotels using legacy PBX technology, most cloud providers can set up VoIP gateways (also known as Integrated Access Devices) to connect on-premise PBXs to the cloud. There is no need to upgrade or replace equipment in order to provide affordable VoIP calling rates.